Virtual worlds have an uncanny quality because they are mathematically perfect and regular, and filled with computer models of objects. These are sometimes architecture, sometimes things, whatever a user decides should fill his or her void. 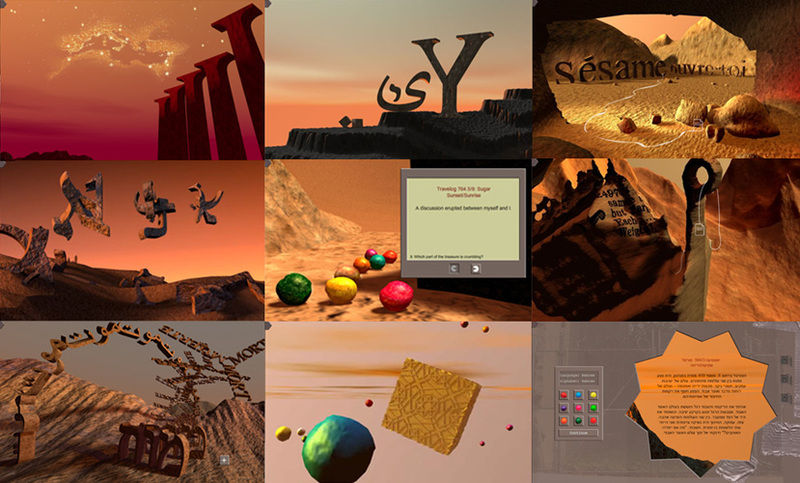 Virtual worlds are remote in a variety of psychological and perceptual ways. A user has no direct access to it. The virtual world may only be viewed through a virtual "view finder," meaning through a software interface designed to resemble that of a digital camera. So a user cannot lay his or her "hands" on it, meaning, cannot use the software tools created to model this world, without passing through a gateway that is also the interface of a virtual camera. A virtual world appears to be real, because the virtual camera that documents it creates a picture that resembles an analog photograph, and the history of photographic images has lead us to believe that photographs capture the real. While they seem to be connected to the real through their photographic quality, the fact that they are computer models, and therefore have a mathematical sense of regularity, also gives these worlds a sense of being timeless yet also ephemeral. This endows virtual worlds with their uncanny quality in a truly Freudian sense: a place that is both alive and dead at the same time. Hence a viewer of a virtual world has the feeling that it exists outside the realm of the biological, and therefore outside the possibility of death and in some timeless, eternal place. Virtual spaces are perspectival spaces, using five-point perspective and therefore referring to Renaissance paintings that so often represented Heaven and the spiritual realm. A virtual world has therefore inherited this connotation: a place that we imagine "heaven" could be: a meta plane up in the sky. This association has been compounded by the corporate branding by Google™ of the their Internet server database as the "Cloud" and related applications as "Cloud" technology. So virtual spaces evoke meta conceptual planes that exist "inside the computer," where it seems that one might find an intimate, imaginary landscape where users can project their inner desires and fantasies. Virtual worlds are also synthetically generated worlds that provide a staging ground for a variety of forms: for the performances enacted by digital bodies and for a range of virtual processes and simulations. Some of them are closely tied to our own physical realities, but with disconcerting characteristics that force the viewer to question their credibility and as a result, the viewer's own perceptions, and therefore, the credibility of the world. The digital models populating a virtual world can either be created by the user, or increasingly, culled from stock libraries available on the Internet. Free computer models have been available online for sharing since the success of Pixar™ animations and the ensuing introduction of 3D animation software for the personal computer in the 1990s. The proliferation of online user-groups, and the networked culture of freeware and shareware, has extended the availability of stock models through the connected libraries of Cloud computing. Default computer models provided by inexpensive software packages and the growing availability of online repositories of objects, characters, textures, and effects for instant download has made possible the importing and juxtaposition of found objects into a user's own creations. Preset models can be easily adapted and manipulated as characters, or used for designing virtual sets. When collaged together in an XYZ Cartesian computer world, the resulting outcome is a contemporary reinterpretation of Marcel Duchamp's idea of the industrial Readymade. Default objects provided by 3D animation software packages, and the stock models downloaded for free on line are, in fact, virtual Readymades. Google Earth™ was introduced in 2005 for the personal computer. It maps the earth by the superimposition of images obtained from satellite imagery, aerial photography and the GIS 3D globe. The release of Google Earth™ has stimulated public interest in geospatial technologies and applications. By October 2011, 3D images of terrain and buildings have been downloaded onto Google Earth™ more than a billion times. In 2006, Google created the 3D Warehouse™, a global repository for computer models, created for free by the Google community to populate the 3D version of Earth. The 3D Warehouse™ offers exact models of real-world buildings, building collections, and ready-made landscapes available for download and free use, along with objects and character models. Models created by the community must be approved for verisimilitude by the Google Earth™ team, so 3D Warehouse™ models are accurate representations of real-world objects that add to the construction of a convincing parallel universe on Google Earth™. Google's 3D Warehouse™ is literally a meta-plane in the Google Cloud™ proffering an infinite supply of free models of significant buildings, objects, and even people for the construction of one's personal Virtual World. Sketchup Pro™ is Google's commercial version of the popular, free software, Sketch-Up™, provided by Google, for hobbyists to use for building models of their own worlds, meant for insertion into the Google product, Earth - the most "meta" of all virtual worlds. Sketch-Up Pro™ unlocks high-resolution versions of the hundreds of thousands of the stock models found in the Google 3D Warehouse™ - an army of virtual Readymades - themselves copies of real-world buildings. When Google's 3D Warehouse™ models are repurposed by Post-photographic filmmakers to create simulated, collaged landscapes, the uncanny sense of a seamless mathematical facsimile is compounded, as spatial ambiguities and contextual incongruities are intentionally made apparent. 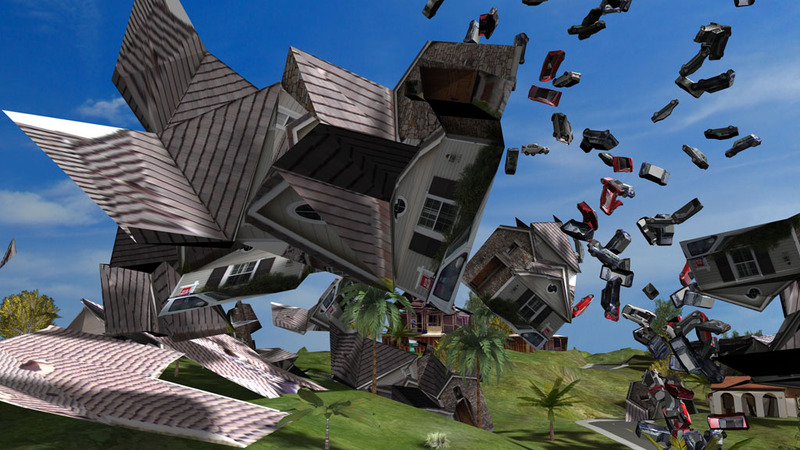 As result of all of these real world incidents, virtual worlds have become perverse hyper-geographies, multi-dimensional recursive systems that can multiply, repeat, morph, and infinitely extend themselves to create worlds of self-generating architectures and spaces. The use of virtual Readymades for sets and characters endow these environments with a schematic, mathematical sense, and at the same time give them an eerily realistic familiarity. A filmmakers' decision to personalize this found content by reformulating the 'googlized' Earth, revivified a formerly Utopian idea of a vast untrammeled American landscape, now resynthesized in the form of a uniform, high-tech, corporate map. In Mere Spaces All Things Are Side by Side I is the first video in a series which explores the complex adoption and accessibility of the internet in a developing country where it is heavily controlled. As a teenager living in Iran, Allahyari’s window to the outside world was through the internet, albeit a limited and censored window. Much of internet art experienced in the Western world is created from a point of privilege, with reliable connection and relatively easy access. Allahyari’s piece addresses the hierarchical and horizontal aspects of the internet, and allows viewers to experience internet usage as it is experienced in technologically developing country. 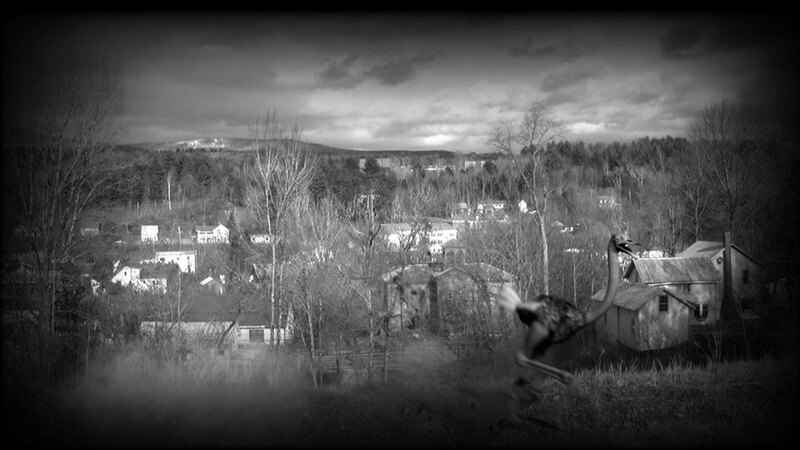 Instead of focusing directly on the relation between the two individuals, Allahyari uses her adolescence Yahoo chat archive as a point of departure and creates an imagined space between the physical and the virtual, poetically connecting the failure of the relationship to the failure of technology and communication. 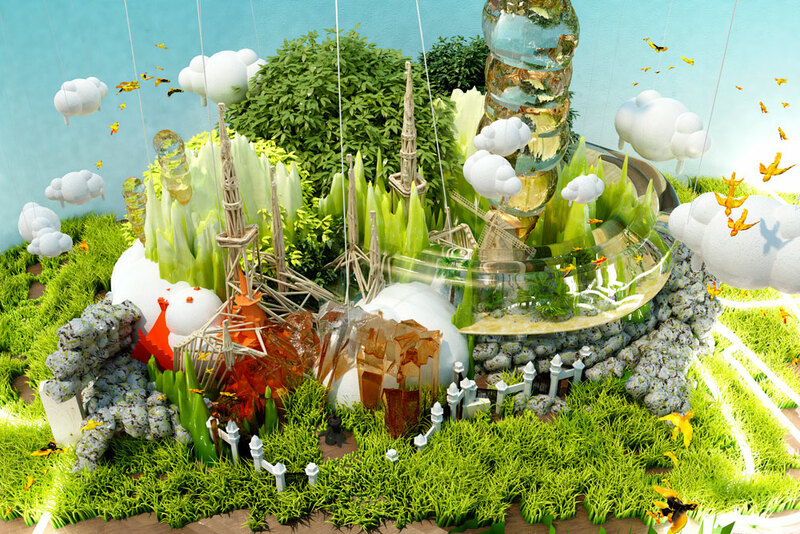 Scalable City creates an urban/suburban/rural environment via a data visualization pipeline. Each step in this pipeline builds upon the previous, amplifying exaggerations, artifacts and the patterns of algorithmic process. The results of this are experiences such as prints, video installations and interactive multi-user games and virtual environments. Throughout these artworks, a variety of computer concept buzzwords take on physical form. Wallowing in them provides equal measures of delight and foreboding, creating a vision of cultured forms that we are rapidly creating. The project neither indicts nor embraces this future, but offers an extrapolation of its algorithmic tendencies, heightening one's awareness of the aesthetics of the underlying logic as it becomes the determinant of much of our cultured existence. My work investigates the increasingly blurry line between real and unreal, and the role technology plays in influencing the images we see every day - how we read and interpret them, how they are presented to us. Just because something is perceived does not mean it is real. The important thing is not reality, but perception. Something can be perfectly real, but if the perceptive channels don't process it, or process it in an unconventional way, this reality will lack credibility, or its allegedly real qualities will be reduced or altered. We do not have to identify perception with unreality, though. Modigliani said: "I am not searching for what is real, neither what is unreal, but unconsciousness." I am a multimedia artist constantly positioning myself within the borders of a deliberately conflicted landscape. 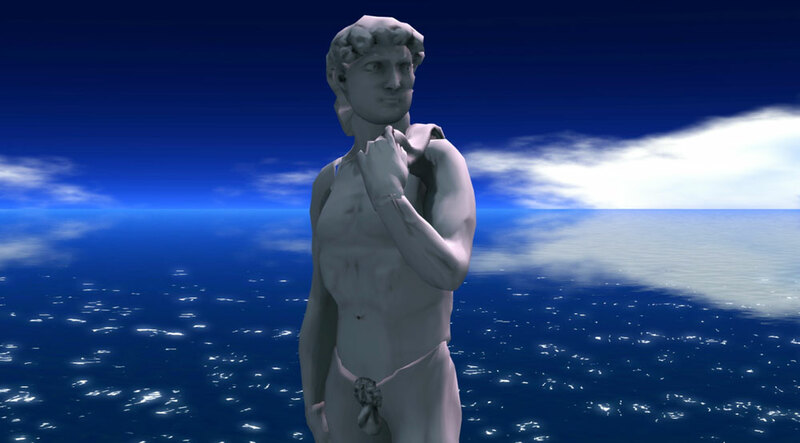 I present a world in which digital video and 3D animations merge in series of artworks that explore the discomfort of ones own nature; a world that is infatuated with the duality of disaffection; a world that challenges notions of assumed reality. Arrival is a multimedia installation that forms a companion piece to the earlier public artwork Pedestrian (2001). As in the earlier work, Arrival is meticulously constructed from human actions recorded through advanced motion-capture technology, in which the movement but not the appearance of the actor is preserved. 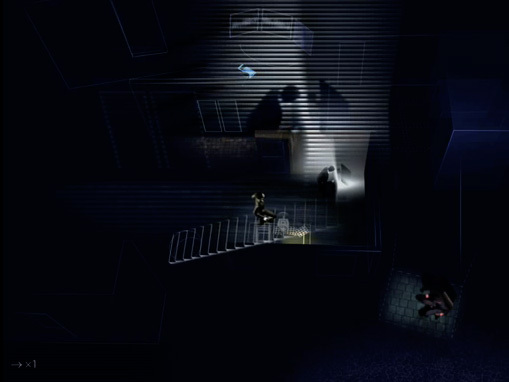 Such movements are mapped onto synthetic 3D characters, which are then choreographed in an intricate 3D environment. Where Pedestrian was a meditation on crowd movement in public spaces, Arrival reflects on the patterns of individuals moving in an interior space. This space is an ambiguous one, evoking office, apartment building, mall, and airport - and also the synthetic worlds of the video game. The piece presents viewers with not only a spatial, but also a temporal puzzle, for while half the figures move forward in time, the others move in reverse; and since the piece loops perfectly, it has no beginning or end. The relationships between the figures and their actions are complex and hard to decode, as they carry and exchange briefcases, edit surveillance videotapes, draw maps, write texts, answer phone calls, steal and photocopy pages, burrow below and clamber above. The work demands close scrutiny of the kind one imagines a detective devoting to surveillance footage: playing, pausing, and rewinding it. It forms a disturbing mirror to the networked surveillance systems forming not only at our borders, but also in our minds. Object of Desire is the third chapter of the online narrative the Traveler's Journal. The diaristic and epistolary story tells of a traveler who searches for a lost treasure in a parallel world called Sunset/Sunrise. The traveler is torn between the longing to the lover who was left behind in our world and the yearning for the lost treasure. Written in three languages, Hebrew, English and Arabic, the fifteen diary entries combine, cross, and deconstruct themes and motifs born in the Near East and Mediterranean. During a family visit to Israel in 2002, I noticed that my mother was using the Internet entirely in Hebrew, i.e. : Operating system, browser and websites (right-to-left). That prompted the consideration that just as in "real" life, on the Internet as well, language functions as a border and space. I found the experience of browsing websites in foreign languages similar to that of traveling in a foreign country. To experiment with the space of languages, I chose to author the chapter in English, Hebrew and Arabic (plus some French, Italian, Spanish and C). These languages draw the semantic landscape of my childhood. Object of Desire downloads from Ramallah and New York. 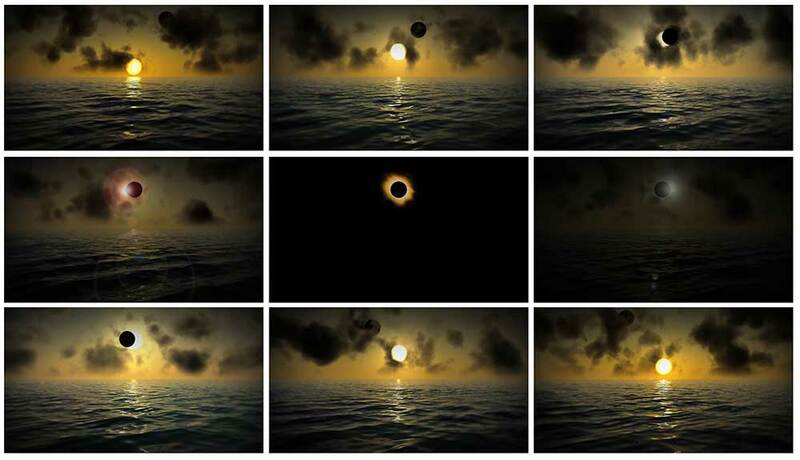 The Frequency of Space/Time is a computer animation of an artificial sunrise/sunset with a total eclipse of the sun by the moon occurring at the apex of its position above the horizon. The moon follows a parabolic trajectory while the sun slowly rises and sets over a simulated moving body of water. Total eclipse, known as totality, occurs every 16 minutes in the animation while the whole piece cycles every 32 minutes. I began the idea with the intent of creating an impossible artificial phenomenon in light, while repeating that sublime experience endlessly. 50th anniversary performance of Al Hansen's "Red Dog for Freddie Herko"
Performed by Second Front on the Odyssey Simulator. Alex McLeod constructs hyperrealistic 3D environments filled with crystalline mountains, fiery lakes, and rotund clouds, all rendered in a sickly sweet and gooey candy-colored palette. Recalling the wide-open vistas of Romantic landscape painting while at the same time staging otherworldly dystopias, McLeod's CGI prints act as hybrid spaces that imply an almost infinite recombination of the past and present, the real and virtual. Beneath their seductively polished surfaces, of glimmering fortresses and floating geometric abstractions, lies a haunting stillness that comes forth in the aftermath of cataclysmic events. The cause of destruction remains unknown in these depopulated spaces -there are no people in these images, however much human traces remain in the rickety railways and empty fortresses. And yet, from the twilight of devastation shown in these strange dioramas lies possibilities for hope and rebirth in our own digital milieu through the artist's new approaches to concepts as varied as ecological responsibility and the shared intersections between photography and painting. The motifs in my film and artwork include the varieties of contemporary alienation, the impact of technology on our consciousness, and the capturing of the moral dimension in an ambiguous world. These themes often are expressed through the tension between the ideal and the real, the romantic and the ironic, and the conflict between past, present and future. Contemporary technologies and virtual worlds provide a rich potential for essay, narrative, and critique. I both celebrate technology, and critique the culture it reflects. Using the very instruments that estrange use from ourselves is a valuable method to inform us about the nature of our alienation. My joy at finding virtual worlds to explore led inexorably to an artist's critique of the real world in which we are trapped. We want to matter and we want to matter to somebody, but loneliness and anonymity are often our plight. At times I introduce a moral perspective by adopting the role of a member of the community. At other times, I alter or undo familiar conventions by reframing or by introducing the human gaze. In this way, I align myself with the historical role of the artist who not so much liberates us as he reveals the conditions of our enslavement.